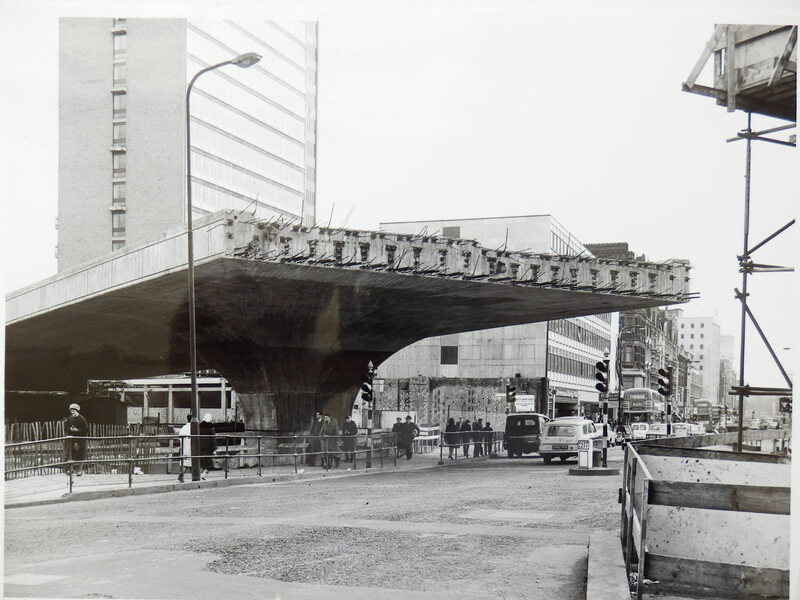 Inspired by wonderful pictures from Transport for London’s archive, we wrote this blog In Praise of the Marylebone Flyover, and What Lies Beneath. 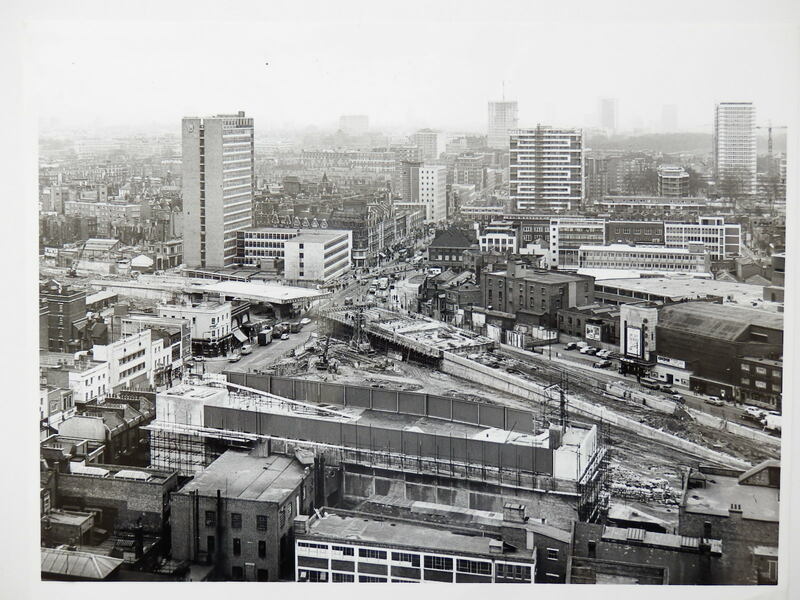 Assuming a commanding position across Edgware Road the Marylebone Flyover was constructed as part of the Westway to relieve congestion and provide a direct route into Central London from the West Cross route. 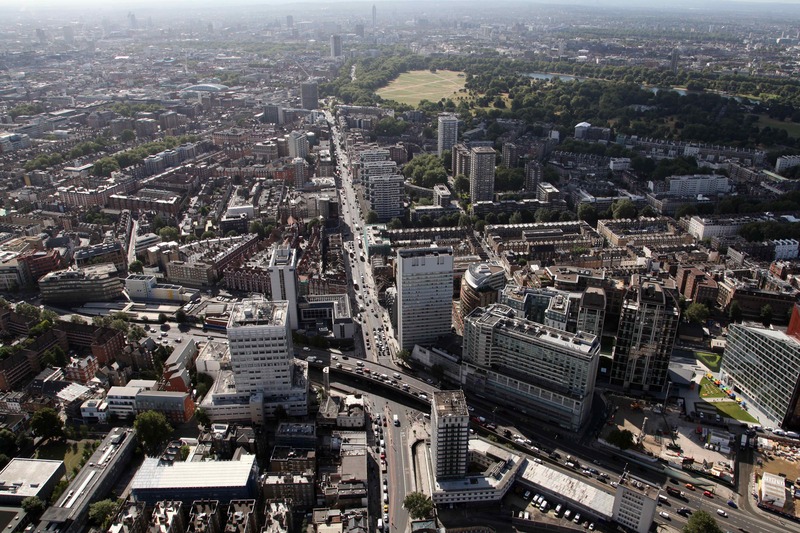 The flyover was designed and built separately from the Westway. The former was constructed as part of the Harrow Road to Marylebone Road Improvement Scheme (completed circa 1967) whereas the Westway Elevated Sections were part of the Western Avenue Extension scheme (completed circa 1970). 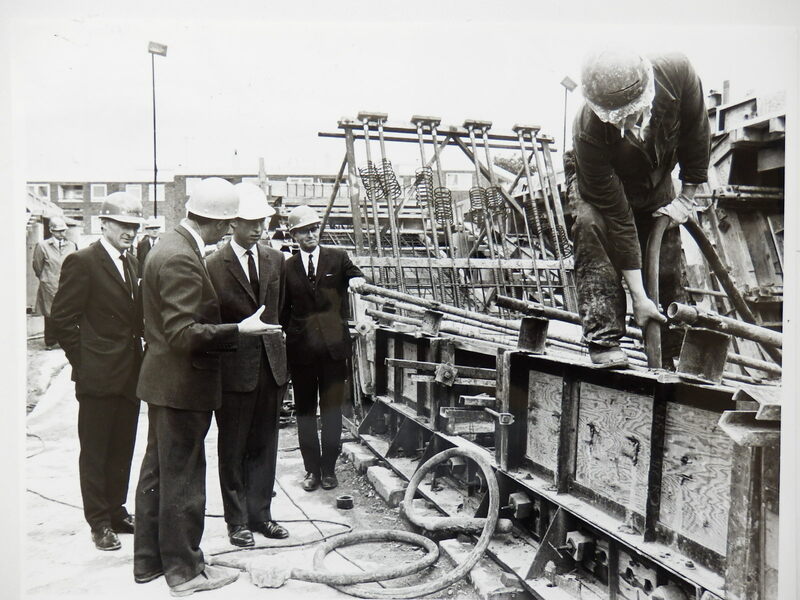 The architect was Hubert Bennett and Consulting Engineers Sir Bruce White, Wolfe Barry and Partners. The principal contractor was Cementation Construction Limited. The official opening of the flyover took place on 12 October 1967, by Mr Desmond Plummer T.D., J.P., Leader of the Greater London Council. The structure has a slender elegance to it, with three continuous spans supported at either end by cantilevered reinforced concrete abutments, with brick face and integral concrete piers. The intermediate supports are cast in situ columns integral with the deck above. The flyover rests on piled foundations. The abutments at each end used to house substations and store supplies to the flyover. The east abutment now houses a UKPN plant/substation. Carrying 80,000 vehicles each day, there are 375 tonne capacity bearings on each of the abutments and 1,500 tonne capacity bearings under the piers. The overall length of the structure is 119m and 17m wide. Its powerful presence is in part due to its unusual design for a structure of this type in the UK, and especially from this period. You can view the original drawings here, kindly provided by Transport for London. The texture of the concrete panels is a reference to tailoring and boat hulls, with the form producing extreme acoustic properties within the spaces below the flyover. What lies beneath echoes the sweeping curves of the Marylebone Flyover, in a labyrinthine pedestrian subway with its own claim to fame. Christened the Joe Strummer Subway in 2009 by artist Robert Gordon McHarg III, the subway network was host to regular busking by the lead vocalist of the Clash, Joe Strummer (1952 to 2002). Not wishing to let the musical legacy pass, Massive Attack’s video for ‘Voodoo in my Blood’ was shot in the subway in February 2016, directed by Ringan Ledwidge, and sees actress Rosamund Pike dragged around the tunnel network. Certainly not for the squeamish this one. With thanks to Transport for London’s Structures Team for their assistance compiling this article.